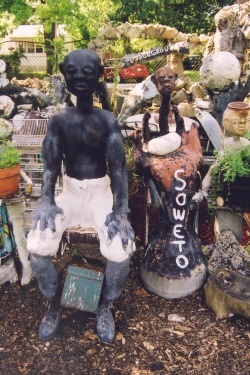 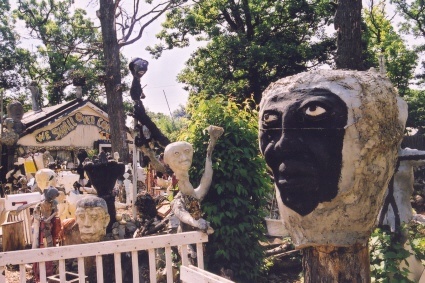 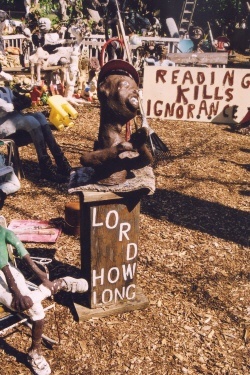 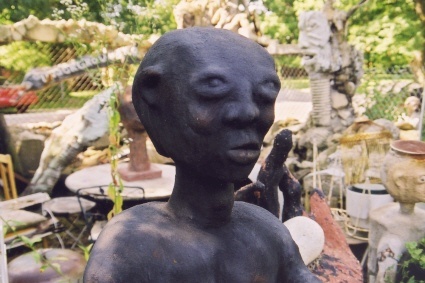 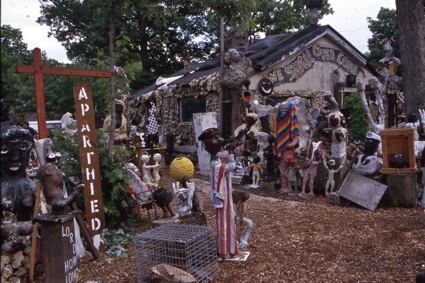 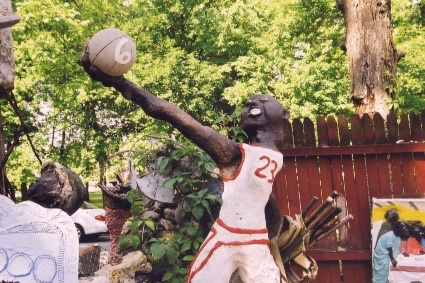 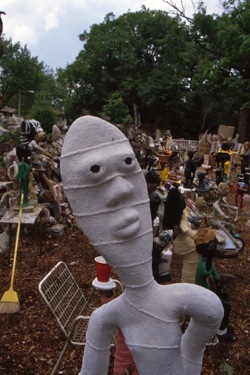 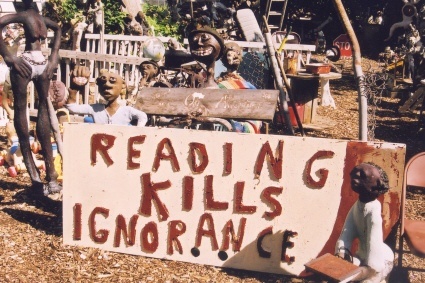 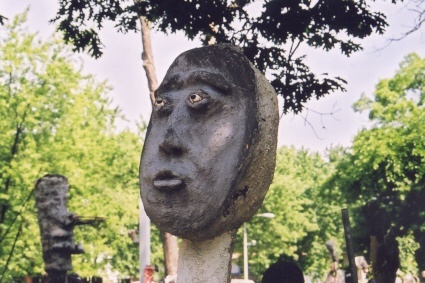 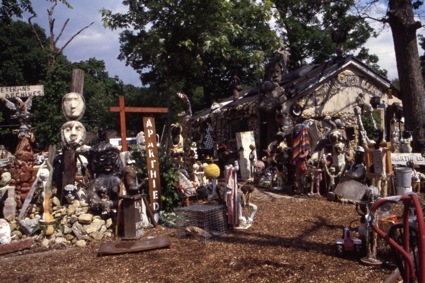 In 1986, in the yard of his small home on the east side of Aurora, Dr. Charles Smith began building his vision: a sculptural monument dedicated to the contributions and experiences of African-Americans. 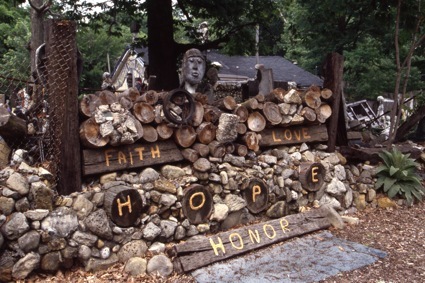 Before his vision, Dr. Smith, a Vietnam Veteran, had felt lost in pain and anger. 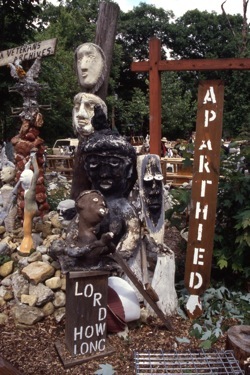 Then he received his inspiration: "God told me, 'Use Art - I give you a weapon', just like He gave Dr. King the Gandhi strategy." 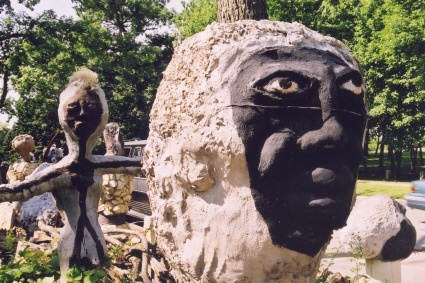 From that moment on and despite the fact that he had never received training in art, his house lot started to fill with sculpted tributes to the leaders and martyrs of Black America: Harriet Tubman, Frederick Douglass, Emmett Till, and Martin Luther King among them. 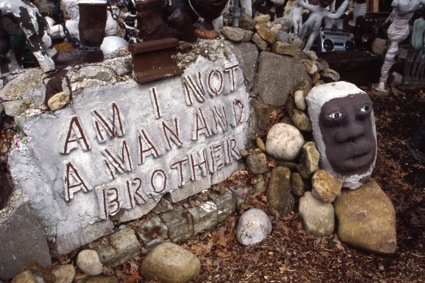 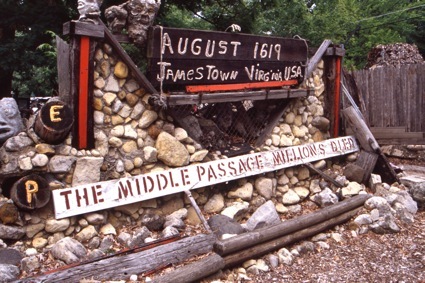 In addition, there are memorials to the 4,000 Black Americans who died in Vietnam, to victims of the Rwanda tragedy, as well as to whites that helped with the Underground Railroad. 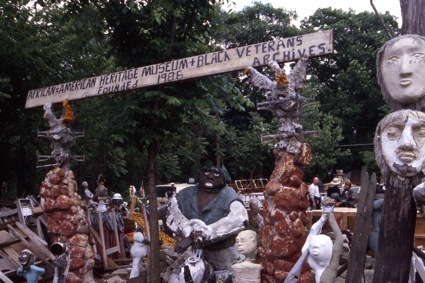 As scholar Lisa Stone writes, "The African-American Heritage Museum and Black Veterans Archives is equal parts memorial and mirror, commemorating and reflecting the complexity of late 20th Century life, and its elaborate, and at times bewildering, commingled histories." 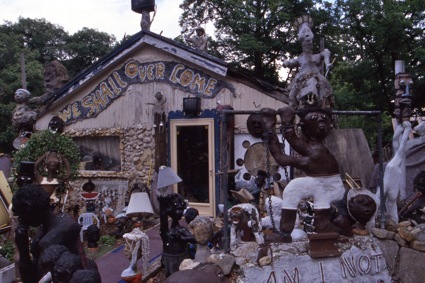 In 2002, Dr. Smith moved from Illinois in order to start two new museums in Hammond & New Orleans, Louisiana. 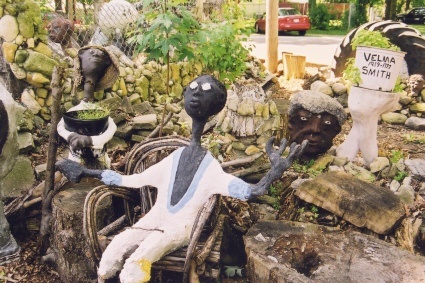 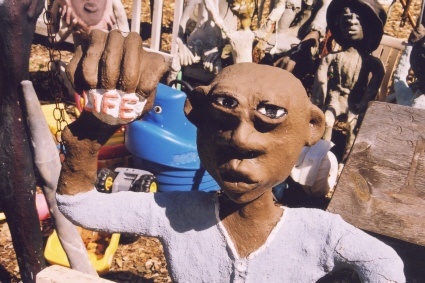 (The New Orleans project, known as the Algiers Folk Art Zone, is a collaboration with artist Charles Gillam.) 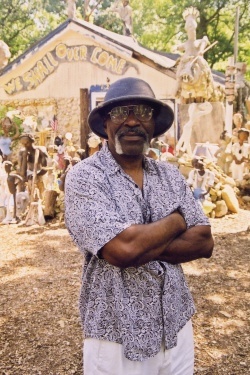 Forever passionate, forever formidable, forever free, Dr. Charles Smith continues to spread his message of remembrance, hope, and vision.